The most "Bang For Your Buck" is found with this machine. 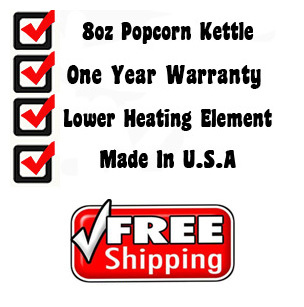 It's Paragon's largest capacity popper that doens't require anything more than standard household current.The Theater 8 is a real work-horse with its 1250 watt Hard-coat anodized aluminum kettle producing 147 one-ounce servings per hour. Complete with Paragon's exclusive three year warranty. 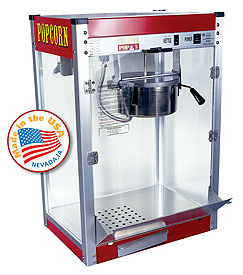 Add some fun and flair to your next popcorn event. Perfect popcorn every time. Why mess around with bulk and waste? 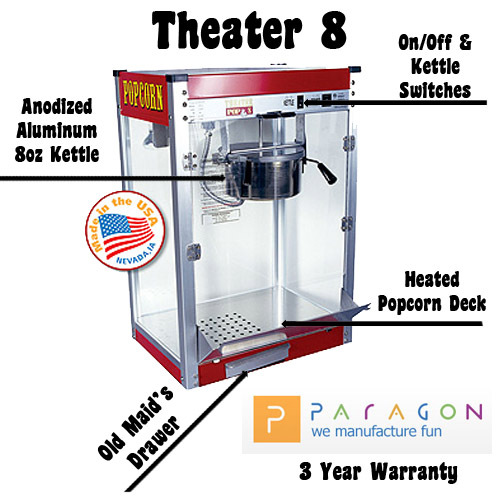 A great popcorn machine need the proper scoop. Economical popcorn butter. Make your movie night just like the movies.